Sunbrella furniture fabrics are great fabrics to use here on Cape Cod. You can’t beat a 5-year limited warranty against loss of color or strength from normal use including exposure to sunlight, mildew and atmospheric chemicals. Cape Cod has a lot of sun flooded 3-season porches and wet bathing suits-perfect conditions for Sunbrella. 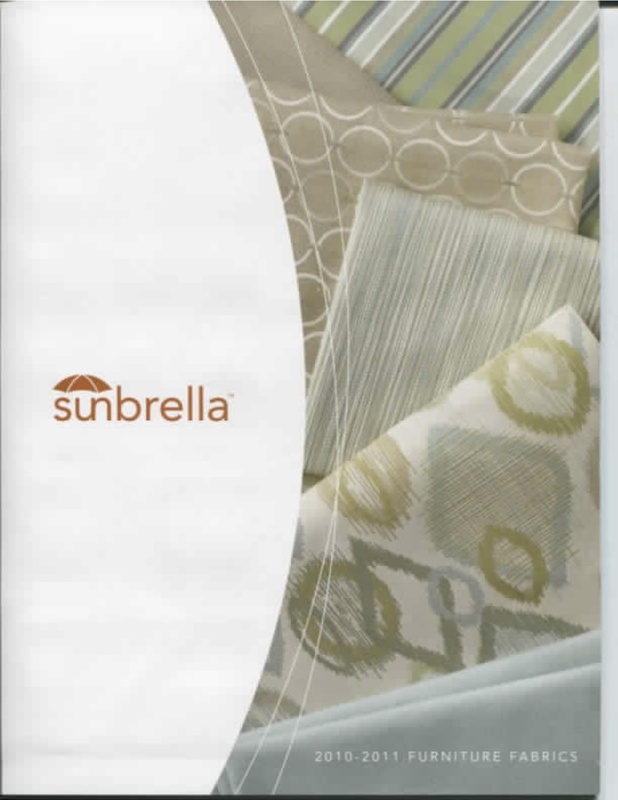 Sunbrella fabric does not promote growth of mildew, but mildew can grow on dirt on it’s surface. So keeping Sunbrella clean is important. Vacuuming and spot cleaning with luke warm water should be enough to keep the fabric clean. But for stubborn stains, a bleach solution can even be used. The Sunbrella fabrics I sell more of at Cape Cod Upholstery Shop are from the Sunbrella Furniture Fabrics fold out sample card. The card contains canvas, specialty weaves, stripes, jaquards and textures. All of them retail for around $37.00 per yard. I just received the 2010-2011 sample card and it has lots of new samples. 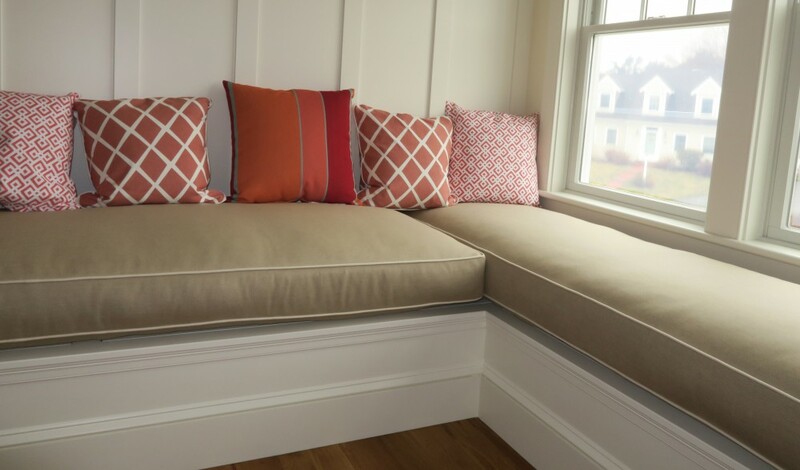 Sunbrella can easily be incorporated into the living room, kitchen and for window seats.